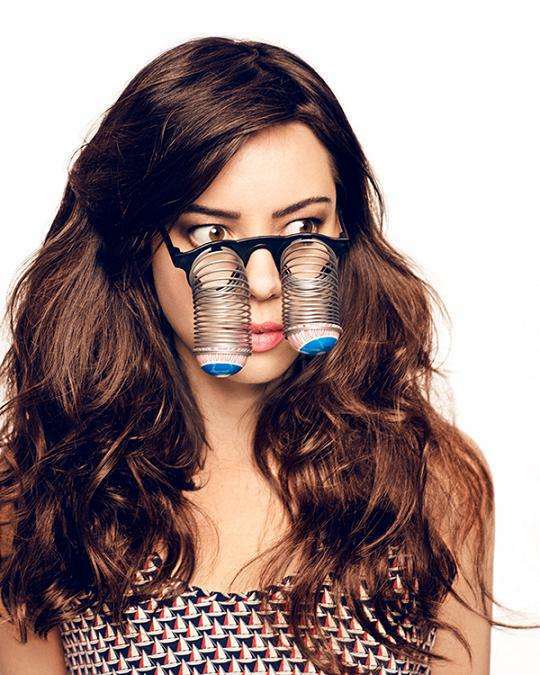 This hilarious fashion editorial for Complex Magazine features Parks and Recreation star Aubrey Plaza. On the show, Plaza plays a pretty girl with a twisted sense of humor. In this fantastic editorial she gets to goof around in some flirty summer attire. In each of these colorful photos, Aubrey gets to incorporate classic joke props. For example, in one shot she is hugging a giant whoopee cushion. In another shot she poses on the ground, surrounded by banana peels (so it looks like she’s slipped and fallen down). These lively shots really highlight the fact that she’s a comedian while also showing off her more glamorous side. The backgrounds in these photos are bright and cheery, but they don’t take from Aubrey’s goofy poses at all. Fans of Parks and Recreation are sure to love these flirty yet funny editorial pictures.